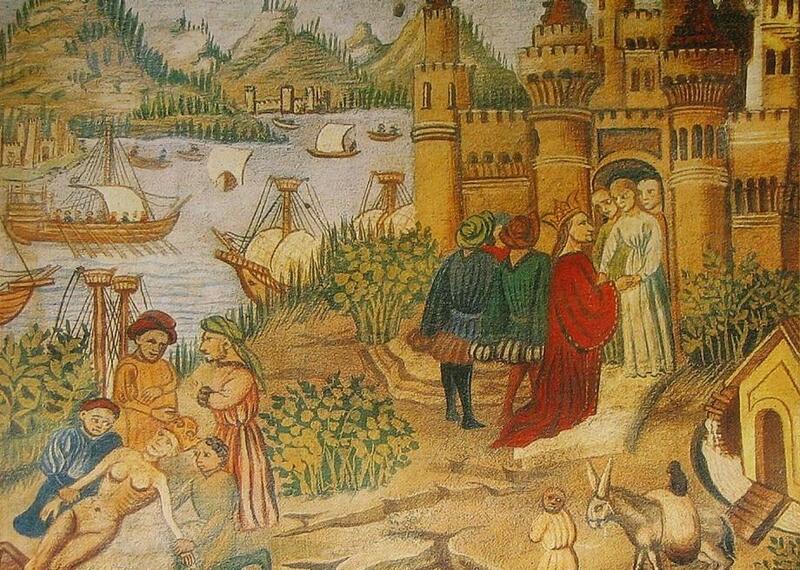 The Regimen Sanitatus Salernum was the Middle Ages' most famous health manual. 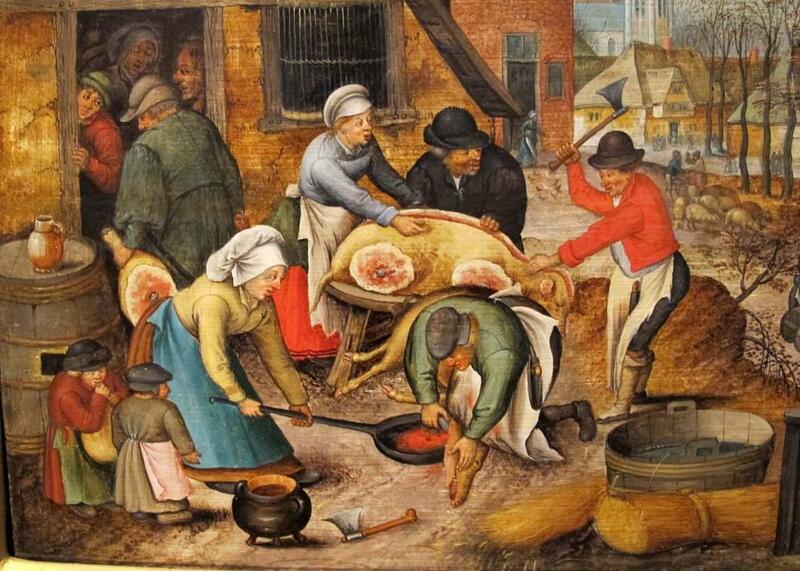 How does the medieval diet hold up? 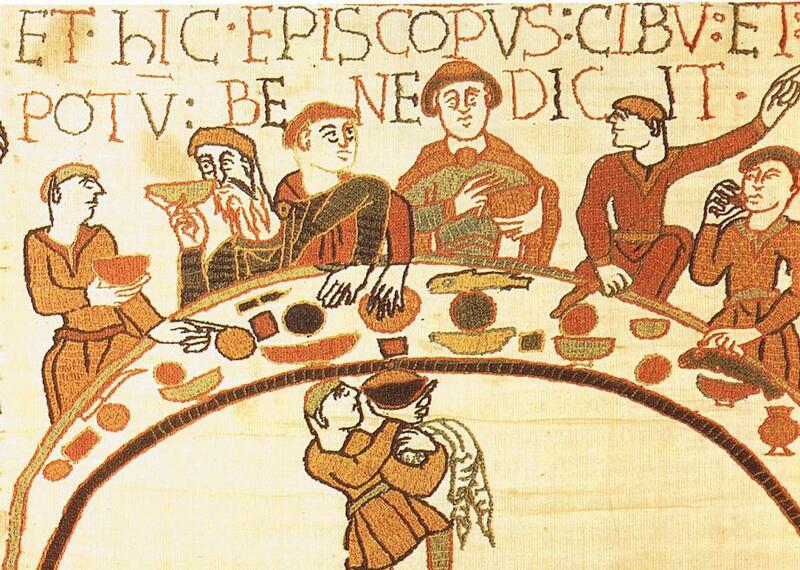 A kingly feast, from the Bayeux Tapestry. The Regimen Sanitatis Salernitanum was created, allegedly, by famous doctors for English royalty and disseminated in the form of a poem. It recommends, very specifically, red wine, fresh eggs, figs, and grapes. It has little to say about vegetables. In many ways, it’s the antithesis of today’s health fads—it celebrates wheat, emphasizes meat, and involves two significant meals, with no mention of snacking. Water is looked on with suspicion, and juice is nowhere to be found. But from the 1200s through the 1800s, the regimen was one of the most well-known guides to health in Europe, at a time when the stakes of staying healthy were much higher than they are now. Getting sick could be a death sentence; this regimen promised to keep people well. I felt like I was living the Game of Thrones life; some days, I felt I was living like a 13th-century king. Despite the amount of wine I was consuming, I never got drunk! In fact, I felt great. The Salerno health regimen was based in the humoral theory of medicine, which is focused on keeping balance among the body’s four humours—blood, phlegm, yellow bile, and black bile. Foods were thought to possess qualities that could help maintain that balance: each hot or cool, dry or moist. These ideas originated in the ancient Mediterranean world, most prominently with the Greek physician Galen, and were passed to doctors in the Arab world, before returning to Europe. Although medieval doctors legitimized their recommendations with these ideas about how the body worked, their medical advice wasn’t as random as it might seem. “They justified their practice by humours, but they had arrived at these ideas by trial and error,” says Noga Arikha, the author of Passions and Tempers, a history of the humours. These doctors had one major disadvantage compared with modern doctors—they didn’t know about germs, so they didn’t know what caused sickness. But their ideas about how to keep healthy, particularly by controlling a person’s diet, weren’t so different from our ideas today. “The idea of balancing out—that remains and it makes complete sense,” says Arikha. 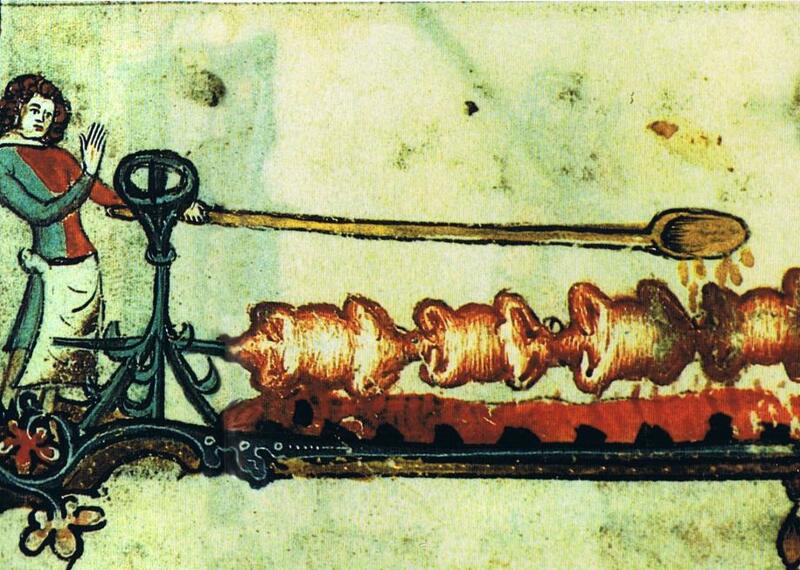 The selection of vegetables in medieval Europe was relatively small, to begin with. It would not have included plants native to North or South America, which means no potatos, no corn, no tomatoes, no avocados, no peppers, and no beans (with the exception of fava beans). Spinach came from Persia, via Arab conquests of southern Europe, in the 800s, and gradually replaced other greens, like sorrel. Sugar first reached Europe in 1148, when Crusaders brought it back from their war, but it was a luxury product, with limited availability, for centuries. Coffee didn’t come regularly until the 17th century (a historical fact that I had to ignore). I wake up in the morning and start with Salerno’s steps for the morning routine. First, I wash my hands and face with cold water. I comb my hair and brush my teeth. I spend some time stretching. All this is supposed to “relax my brain.” Is my brain relaxed? I don’t know, but I am more awake than after my usual routine of spending 20 minutes in bed scrolling through social media. I spend a lot of time wondering: Am I hungry? Do I desire food now? Google informs me that it takes 4 to 5 hours for food to leave the stomach, so when my stomach starts rumbling twoish hours after my last meal, I wait to eat. And wait, and wait, until I feel less specifically hungry and more lightheaded. Dinner is bread and cheese, which is apparently fine if you’re healthy (and poor). By now, I have figured out how to eat more like a rich person. “Rich gravies,” which I take to mean meaty, saucy stews, are hard to come by in New York in 2016—at least without tomatoes and potatoes. American cuisine has mostly abandoned the idea; the rich gravies we eat are likely to come from Thai or Indian restaurants or Central American spots and to be full of spicy peppers, tomatoes, or potatoes, all of which are off limits. Without cooking for myself, I find the best place to find rich gravies is at hot bars—Whole Foods makes a decent chicken fricassee—or hip bone-broth joints.